In our previous column, we visited the Aeolian Island of Stromboli off Sicily – where one of the world’s archetypal volcanoes has been erupting for over two millennia. We now journey south to explore the volcano after which every other one on Earth is named. 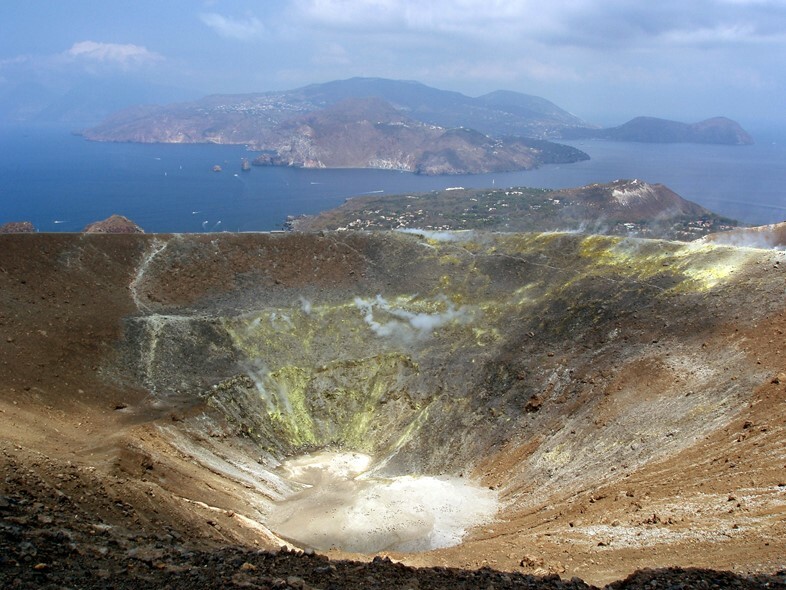 The island of Vulcano today covers eight square miles, and features a number of different caldera. Only one is currently active, but in ancient times the fiery summits were said to be the foundry of Hephaestus and later Vulcan, the Greek and Roman gods of fire and metalworking. Ominously, the perpetual sparks and lava occasionally erupted more violently, which the Romans took to be Vulcan forging weapons for Mars, the god of war. The more sudden, violent eruptions seen at Vulcano contrast with the steady, constant one found at Stromboli. As Dr Pfeiffer explains, both volcanoes (as well as nearby Etna) have among the longest documented history of activity, are easily accessible, and close to inhabited areas. All three are intertwined with human history and culture, and have been under close monitoring for decades. For all these reasons, they are perfect volcanoes for scientists to use as natural laboratories for fieldwork, testing out new monitoring technology and studying their geology. But what created these ancient volcanoes? Volcano Discovery tours runs a nine-day walk/study tour covering Stromboli, Lipari, Vulcano and Etna with a trained volcanologist. Trips this year take place in May, June and October.